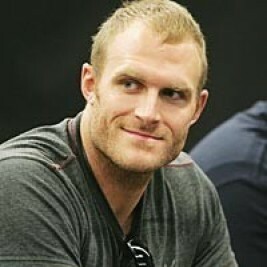 Former NFL All-Pro player and founder of the Gridiron Cannabis Coalition, Kyle Turley will be a Keynote speaker at this years CannMed 2016. This event will also feature an exciting panel of speakers including key leaders in medical cannabis research, clinical application and production. Speakers include Dr. Raphael Mechoulam, cannabis research pioneer and the “Father of Marijuana Research,” and additional conference speakers. CannMed 2016, a Personalized Cannabinoid Medicine Conference, will be held at The Joseph B. Martin Conference Center at The Harvard School of Medicine April 10-11, 2016. The program will also feature a live stream on Monday, April 11th, 2016. Registration for the live streaming is now available for $99 on the CannMed website. Turly is an American college and professional football player turned Cannabis advocate. He started his starting football career playing for San Diego State and was recognized as an All-American. He was originally drafted by the New Orleans Saints seventh overall in the 1998 NFL Draft, and played professionally for the Saints, St. Louis Rams and Kansas City Chiefs in the NFL. He was an All-Pro selection in 2000. After retiring from football, Turley moved to Nashville, Tennessee, where he set his sights on a music career. His debut album, Anger Management, was released by Gridiron Records in 2010. It was co-produced by Turley and Brandon Epps, and includes songs about his football career. He explains that the style of music “power country” is a mix of all rock subgenres and country genres. In addition to music, Turley has actively participated in several journalistic inquiries into the NFL’s treatment of concussions, and, overall health of its current and former players. He is a part of the charitable group Just Cool Me’s Concussion Program named T.K.O. – The Kyle (Turley) Objective. As a result of concussions accumulated throughout his football career (in and prior to the NFL), Turley has a seizure disorder. After his decade-long NFL career, Turley has become an equally loud critic of painkillers and proponent of medicinal marijuana since his retirement from the game in 2007. Turley will be the Keynote speaker for the CannMed 2016 held at The Joseph B. Martin Conference Center at The Harvard School of Medicine April 10-11, 2016. CannMed 2016 conference registration is still open for individuals who want to attend live or remote. Discounted rates are available for students and physicians. For New England attendees, a special “Patriot Rate” has been created. If your company is interested in finding out availability and booking fees for a former professional football player like Kyle Turley or other sports celebrities for a Keynote Speech, Charity Event, Fundraiser, or Football Camp, call us at 1-888-246-7141.